Heat oven to 375°F. 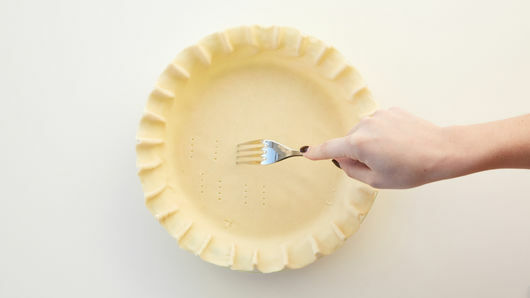 Unroll crust in ungreased 9-inch glass pie plate. Press crust firmly against side and bottom. Fold excess crust under, and press together to form thick crust edge; flute. Prick bottom and side of crust with fork. Bake 9 to 10 minutes or until lightly browned; cool 5 minutes. Meanwhile, in 10-inch nonstick skillet, melt butter over medium heat; add garlic, and cook 1 to 2 minutes, stirring frequently, until fragrant. 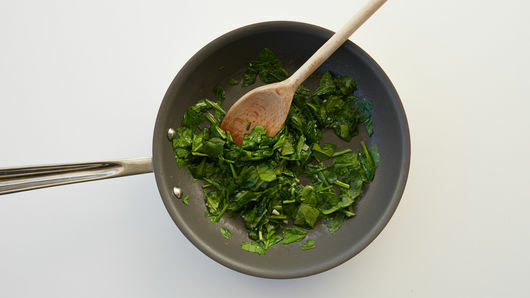 Gradually add spinach, and cook until just wilted; remove from heat. 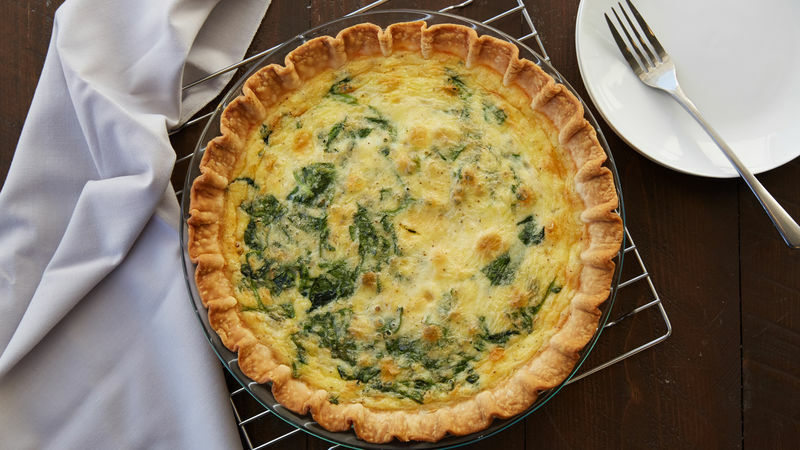 Layer cheese, artichokes and spinach mixture in crust. In medium bowl, beat eggs, whipping cream, salt and pepper with whisk until well blended. 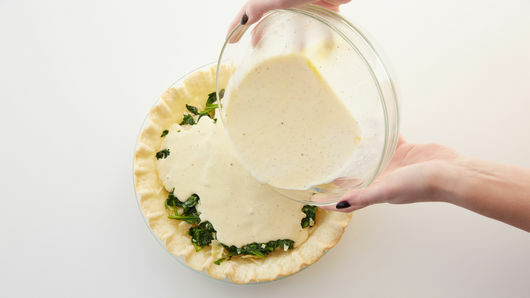 Pour into pie crust, carefully stirring to evenly distribute spinach. Bake 30 to 35 minutes or until knife inserted in center comes out clean; if needed, cover edge of crust with foil during last 5 to 10 minutes of baking to prevent excessive browning. Cool 10 minutes before serving. Cut into wedges. Shredded Parmesan is conveniently sold in tubs in the refrigerated cheese section. Shredding your own Parmesan from a wedge is also an option. Stir in 1/4 teaspoon crushed red pepper to add subtle heat to the quiche.